When operators work at heights, they are exposed to a number of risks, with falls from roofs, ladders, mezzanine floors or through brittle skylights being all too common. It is important to acknowledge that even falls from 1 or 2 metres high can result in serious injuries such as fractures, brain damage and spinal cord injuries. Sayfa are industry leaders in designing, installing and managing access and fall protection safety systems, ensuring your team is safe when working at heights. We also ensure building managers, architects, height safety installers and system users fully understand the safety measures that need to be taken when working at heights. Our approach involves conducting risk assessments to identify any areas that need to be better secured to prevent falls. This includes ensuring roof top areas, mezzanine floors and storage areas have safe access, walkways, steps and stairs are well-maintained with secure handrails, and that all anchors, static lines and rigid rails are designed for their intended loads. Education and competency are essential for preventing devastating falls. 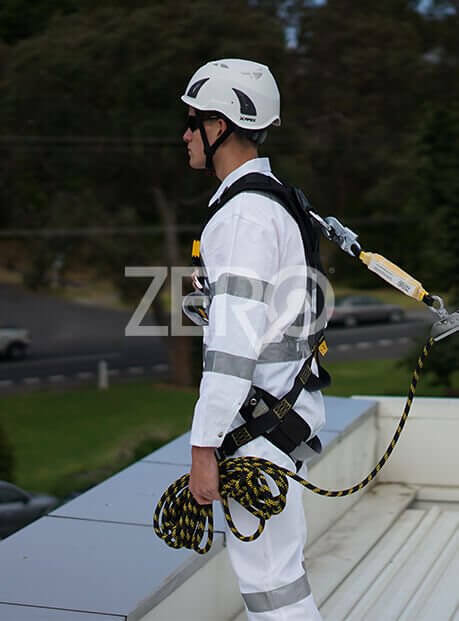 To ensure the safety of worksites across Australia, Sayfa have created a Working at Heights manual which you can download below.